Japanese Samurai is the term to stand for the special warriors formed from 1603 to 1868, during the reign of shogunate Tokugawa. In the Japanese and Chinese cultures the terms for samurai mean “those who serve closely to the nobility”. Any fate of any samurai is the death as the final life episode, this way or that. Thus, honorable and plain class of Samurai warriors were recognized among the whole class of samurai. The samurai who died from the sword-blade of the other samurai was deemed honorable and the highest award since the death from the ordinary person was believed to be disgraceful for these noble people. It’s interesting that Japanese samurai never yielded themselves prisoner. 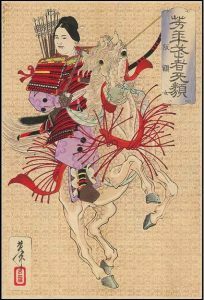 If so for any reasons, the Head of the Army ordered the samurai to commit a suicide. 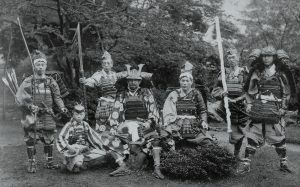 Throughout 1603 to 1868 the samurai aka bushi eventually became the highest ranking social class. They used bows and arrows, guns and spears with the sword as their main weapon, so the weapon accepted in martial practice. Samurais strongly adhere to Confucian phylosophy stressing concepts as loyalty to their master, self-discipline and ethical behavior. The samurai life position is the worked out life style of the true warrior formed through history as the free-swinging and strong warrior who master the skill of using battle-axe or spear and the sword. As a matter of fact, there are not only triumphing wins and awards and incredible fame in samurai’s life. They happened to live in poverty, sick and exhausted and being condemned by other people. The Japanese people believe the samurai is the person who can endure any terrible life tests since the samurai acts by order of his master, even the order is to kills the children. In the mid of 70s there was the tendency to extirpate the true samurais though it failed which is the sign of the great wisdom and strength of the samurai class. It is not publicly known that the true samurai should have mastered a range of weapons and the formal writing ability, either. The young samurais were trained in writing and reading from the age of 16. Every single samurai should have memorized the code with all rules and provisions of the culture and traditions he used to live and obey. The samurai code also established a range of order and punishment procedures for the samurais. The code was called the Bushido. In ancient Japan the samurais had their own names unlike other ordinary people who were called as of their occupation activity. So, a fisher was called Fisher. A samurai’s path of life was difficult and special to pass but not everyone called samurai was able to end in what was assumed by the code. During the reign of the shogunate a samurai strongly believed in karma, that is fate. When the samurai would die from disease that was his fate. And finally the fate as the concept became so ordinary for any samurai to enter the noble warrior path when some of them were not able to go through the samurai path from beginning to reasonable end. Only elite samurais were challenged to have this achieved showing the high military skills. There were also female samurai in feudal Japan. They were called Onna-bugeisha meaning a woman practicing martial arts or Buke-no-onna to stand for a woman from the class of warriors skillfully mastering martial arts. They were members of the Bushi samurai class. As any women, Onna-bugeisha was believed to stay home obeying her husband, keeping the household and taking care of children instead of going off to battle. However, there were women who took part in many battles and wars along with male samurais. When men used to battle, the female had to stay and protect their houses and thus, their mastership of the cold weapon was essential when a single woman could resist the attack of horseback warriors where strength and weight did not count at all against her skill only. As for any samurais, Bushido code was of higher consideration for Onna-bugeishas who consider other’s interest higher than their own’s. The tribute was the highest point to keep and as the case might be these female samurai would kill themselves committing the dzigai ritual (analogous to seppuku (hara-kiri) but the abdomen was not eventrated. The binding provision to commit the suicide in this way was cutting the throat with the tied ankles to end the ritual with esthetically attractive look. A kwaiken or a short anlace was the regular weapon kind for woman-samurai to be on her every minute. A girl aged 12 would be awarded a kwaiken to mark her majority. It was a Tanto with the short handle and long blade. It was used by Samurai since the weapon was practicable to fight indoors and smallers spaces unlike katana or naginata. Women used to wear the Kwaiken in their Obi (a sash that they wore at the waist over their traditional kimono. However, naginata is mostly associated with the image of a female samurai.